My friend Jared Morrison recently signed up for a membership at New York Sports Club. This being his first gym membership ever, we decided to turn it into a win-win situation for the both of us. 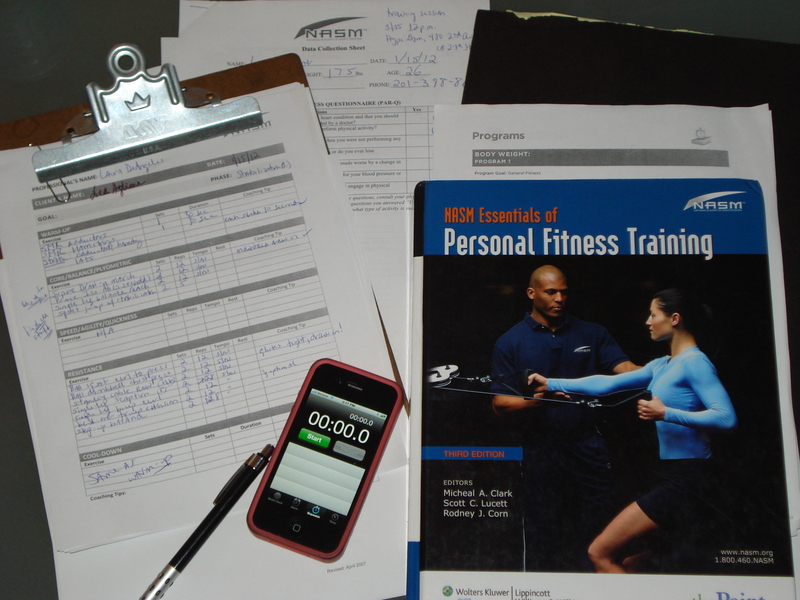 Not only is Jared on his way to improving his overall health by getting on a regular workout schedule, but I am putting my NASM personal training studies into practice by helping Jared reach his goals. After meeting up with Jared for an assessment and kicking off a program, I was reminded of just how important the first phase of training is for anyone new to the gym or coming back after a hiatus. The bottom line is you should not focus on strength and power before you’ve tackled stabilization. Training in the stabilization phase allows you to increase muscular endurance and establish optimal communication between the nervous system and muscular system. Multiple studies have shown inefficient stabilization can cause muscles to produce force incorrectly and increase stress on the joints. This is a surefire way to put yourself at risk for injury. Basically, the key exercises in this training phase are performed in a proprioceptively enriched environment, which is a “fancy” way of saying controlled, but unstable. These exercises challenge the body’s balance and stabilization systems. Many times, they involve taking a “traditional” exercise off a flat surface and moving you to an unstable one, like a stability ball; or standing on one leg instead of two. These exercises have an added bonus: since the body needs to work harder to stay stable, you can end up burning a lot of calories. In addition to his resistance training, Jared’s cardio routine will be working on reaching his goal of maintaining a zone one heart rate for a minimum of 30 minutes two to three times a week. (How to calculate your zone one heart rate.) He also will work on his core. Finally, as for flexibility training: he has the green light to stretch every single day – and multiple times a day if he can! I am looking forward to monitoring and sharing Jared’s progress. In the meantime, I hope you’ve learned about some key stabilization exercises that can help your body perform at its best so you can have fun, be fit and feel fabulous!